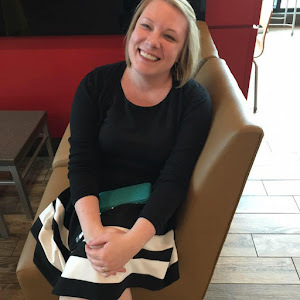 Kate is a successful attorney who thinks she's doing a pretty good job of balancing single motherhood with her career. She realizes how wrong she is when she gets a call from her daughter's private school announcing that her daughter, Amelia, has been suspended for cheating. By the time Kate gets to the school, her daughter is dead. The case seems to be open and shut - her daughter killed herself rather than face the issues she was dealing with. But within a few days Kate receives a mysterious text that tells her Amelia didn't jump. From there, the book chronicles what led to the Amelia's death as Kate uses her daughters texts and emails to retrace her path and reconstruct the circumstances of Amelia's apparent suicide. Were there believability issues? Yes. Did I care at all? No. It's a thriller/suspense and I found the few issues I had with believability (so many coincidences) to be within my threshold for suspension of disbelief. Other than that, I had no issues with the writing. The author did a good job of alternating between a teen and adult voice and created characters who were multi-faceted and dynamic. I appreciated that there weren't any stock-characters and that almost every character had a deeper motivation for his or her actions than was originally revealed. In a thriller, I'm all about the entertainment value and this one delivers. 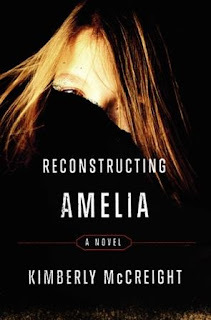 My highest praise for any book as far as entertainment is concerned is that I think about it when I'm not reading it and Reconstructing Amelia had me wondering all day at work what would happen next. Recommended to fans of the genre, obviously, but I also think this book has great crossover appeal for adults or teens who enjoy reading YA. The school setting and the age of some of the central characters will be appealing to those who like contemporary YA and it addresses some social issues that are also of interest to that age group. Thanks to TLC for sending me a copy of the book for review! Click here to see the complete tour schedule. Wow! I thought this book sounded good before, but you've got me hooked. I'll definitely check this out! ok, yet ANOTHER good book you recommended! I saw this book synopsis last week and put it on my to-be-read list. I'm going to try to get a copy! Wendy - if you'd like, I'll pass my copy on to you! Email me your address and I'll stick it in the mail the next time I go to the PO!